7. Why does it feel so good to care for others, but only sometimes for myself? This is a well-written and highly informative review of current neuroscience research on empathy, compassion, and self-compassion. 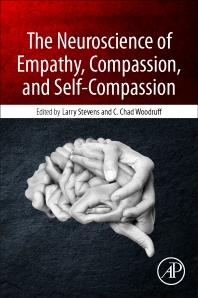 Stevens and Woodruff have put together a comprehensive and current multidimensional overview of these critical human attributes, informing the reader of current understandings and offering in each chapter clear directions for future research. Contributors include prominent researchers in the field and the book is well-organized and a joy to read. Highly recommended.